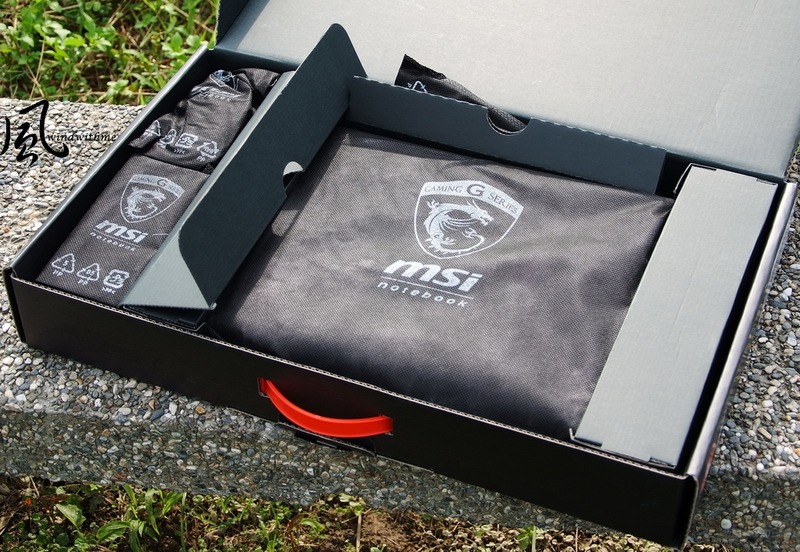 that makes MSI to become a well known gaming products company in the market, also shows how important of the Gaming related market. that's the well known brands in the gaming laptop market. The higher product position comes with much higher price range. and GE series focus on the performance level market with better Cost/Value, so that more consumer could consider their GE series with better price range. 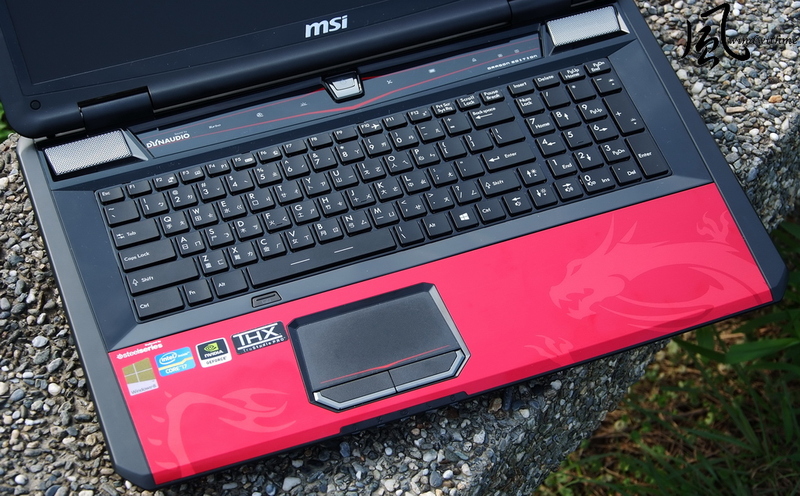 This time we would like to share the latest version of MSI GT70 - The GT70 Dragon Edition. 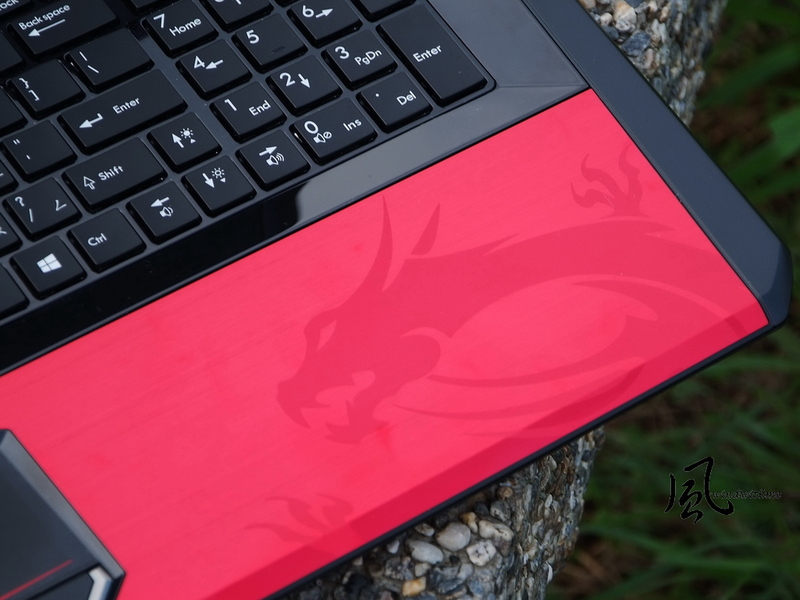 The GT70 Dragon Edition totally changed with their box design, make it slimmer and with better looks of their dragon logo to impressed gamers and power users. 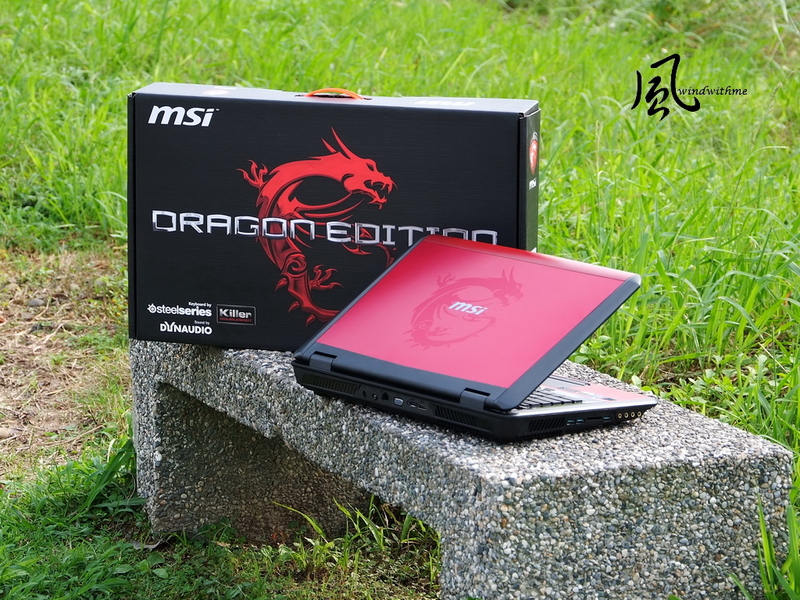 The ID design of GT70 Dragon Edition. that makes GT70 more gaming style and high performance looks. so the color of the red will be lighter when outdoor with sunshine. every accessory was put with lint bag, makes it looks higher quality with better protection. 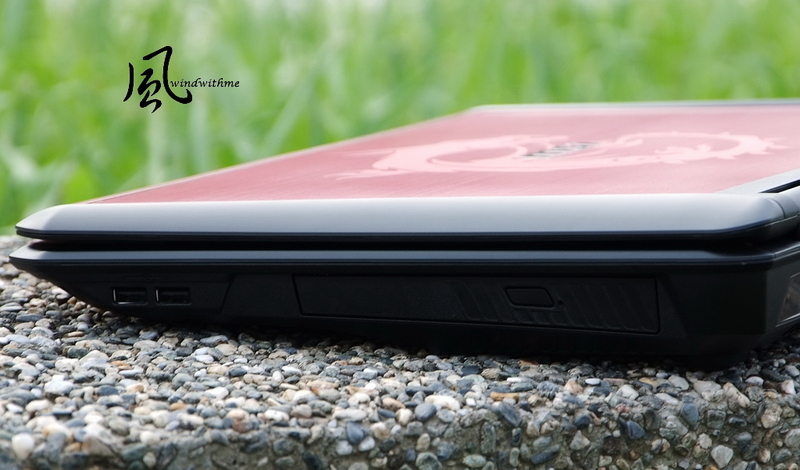 On the bottom of the laptop, 4 corners comes with 5 soft pad for stand. The subwoofer of 2.1 channel speaker was placed on the up left side, it presents really good quality on low frequency sound stage. Battery on the down left side, up right side comes with CPU, GPU(MXM module) and DDR3 DIMMs. DDR3 designed with 4 DIMMs, use dual channel design and built in with 4GBx2, supports up to 32GB (8GBx4). And it comes with 3 SATA interface, supports mSATA with RAID 0 function. Driver DVD, quick guide and 2 years warranty book. The battery designed with 9 Cell, 7800mAh. The 180W adaptor was made by Delta with good quality. Gaming style mouse, it's 3200dpi optical but good positioning and good handling, but if it's larger and with laser optical will be better. 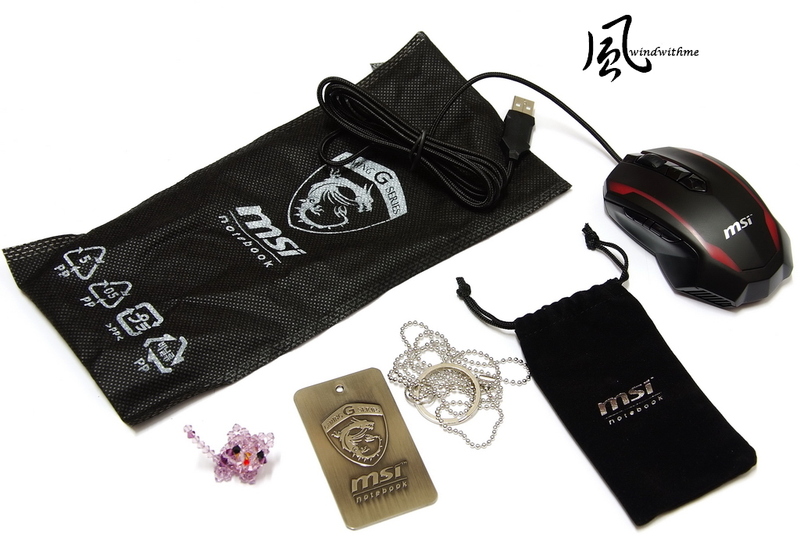 The limited accessory is the necklace with the shield of MSI Gaming Series Dragon Edition, it's very special and only comes with GT70 Dragon Edition. 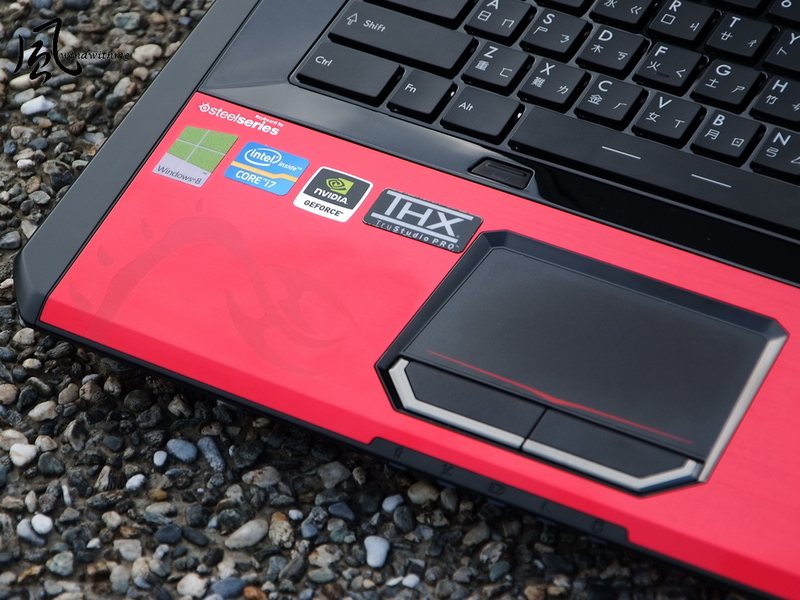 The Dragon Tail image on the left side of touch pad. The touch pad is really good, very sensitive and good on positioning, make it easier to control. The signal lights from left side, Bluetooth mode, WiFi mode, Battery status, Suspend mode, HDD access. The Dragon Head tattoo on the right side of the palm rest. The placement of keyboard is same as desktop keyboard, the numeric key on the right side is good to input numbers easier. The Keyboard By SteelSeries design comes with good typing sound, the force feedback and durability is better than most of normal laptop keyboards. 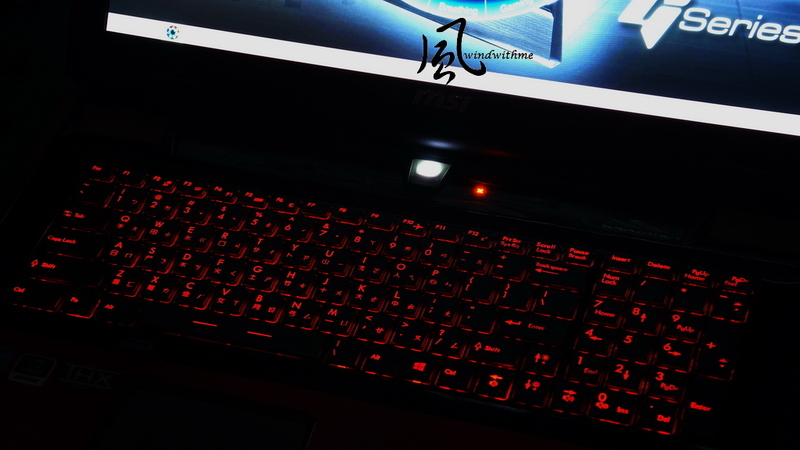 The key in the middle is power button, shine with white light when turn on. The feature control panel designed with touch sensor, with 6 feature to control. Left 1 is GPU Turbo boost key, left 2 is Cooler boost key. Sound By Dynaudio speaker system aside the control panel with metallic cover. 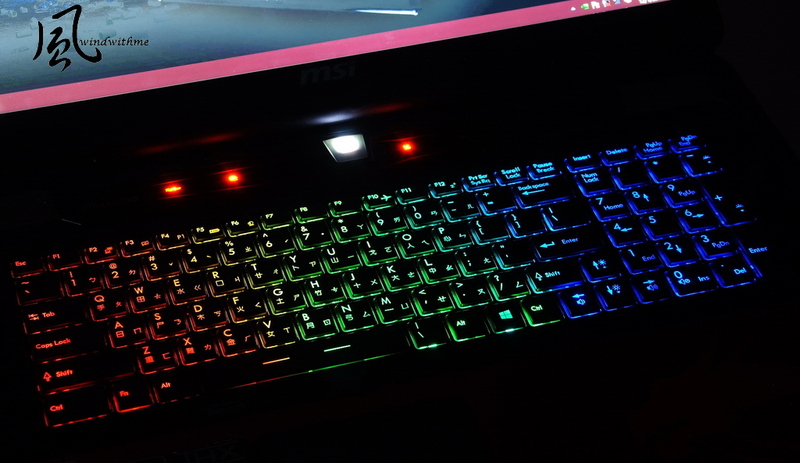 The back light keyboard could switch with multi colors, it's orange, green and blue right now. 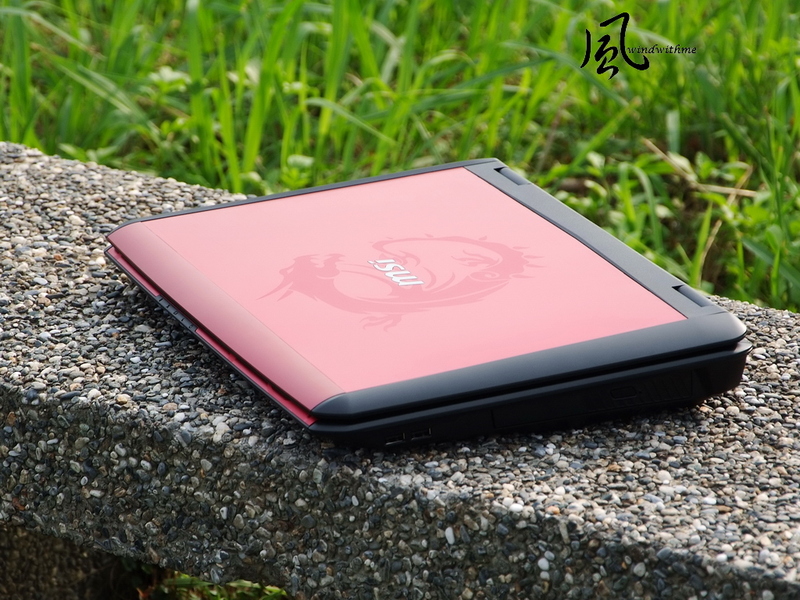 You could also change it become single red color to fit the same color tone of GT70 Dragon Edition. 17.3" LED back light matted monitor, with 1920x1080 Full HD resolution. 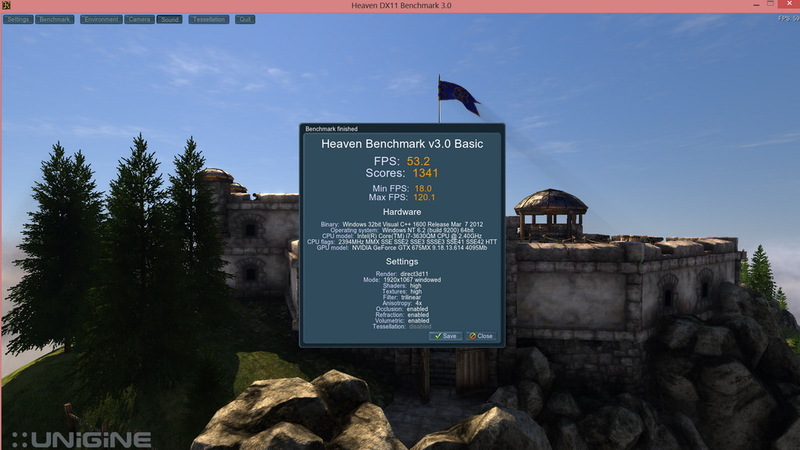 HD WebCam supports 1280x720 30fps recording and 1280x1024 photo snapshot. 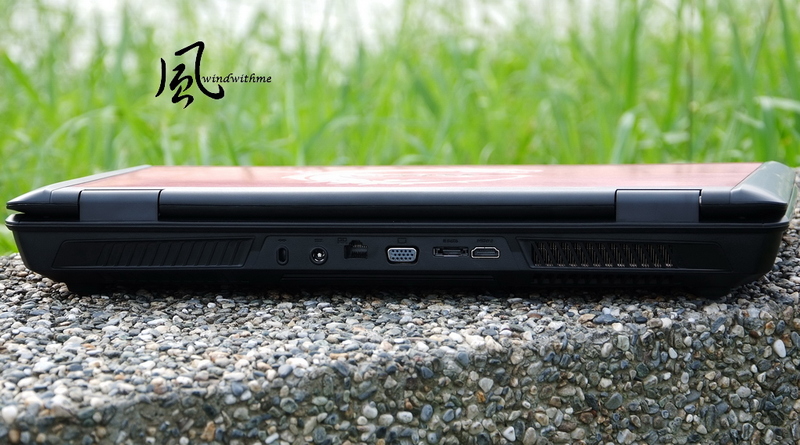 The back side of the laptop. it supports 2x2 and 2.4GHz /5GHz bandwidth, these 2 was called "Killer Double Shot", for really faster internet access and lower gaming pin rate. 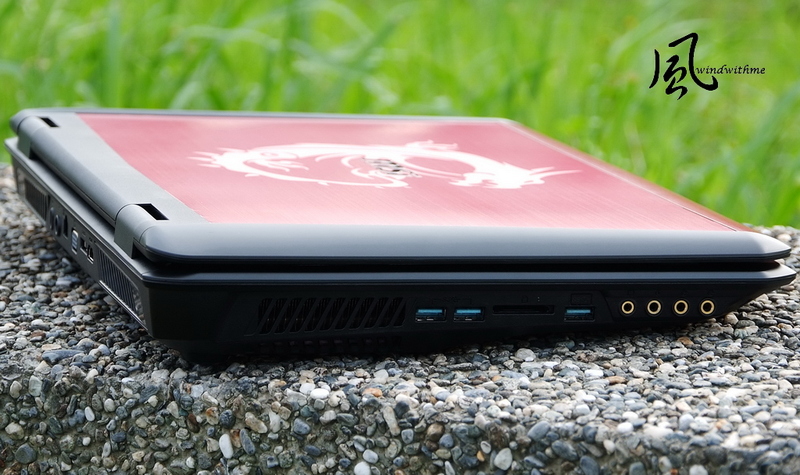 The GT70 Dragon Edition used Windows 8 OS. 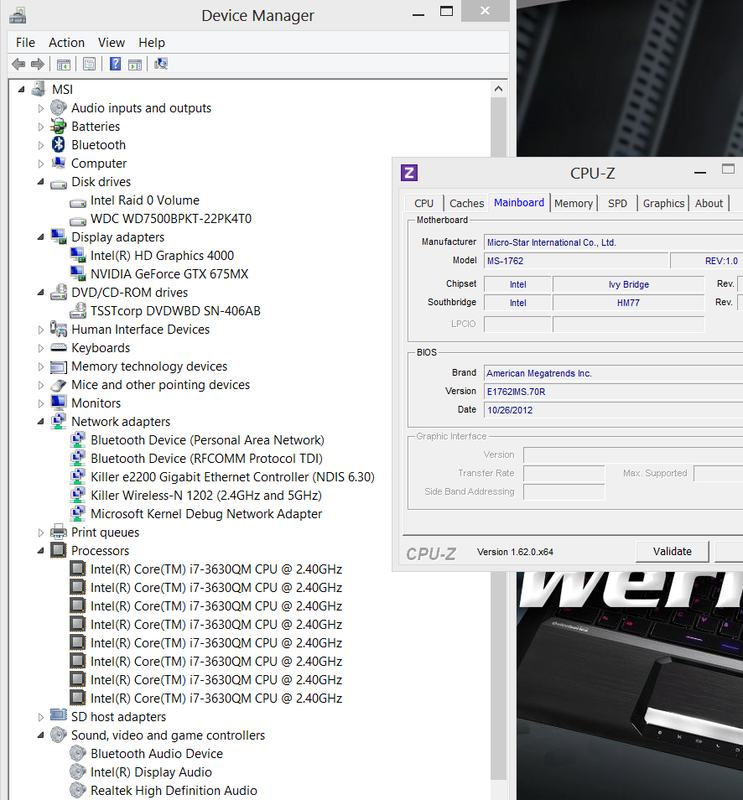 It's the hardware information in the device manager of Windows 8. 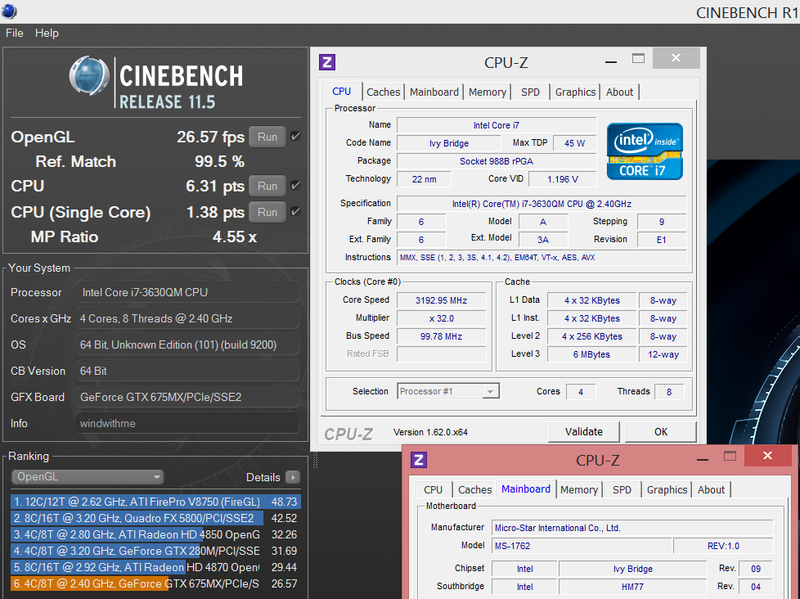 CPU performance increase a little because of the i7-3610QM 2.3GHz upgraded to i7-3630QM 2.4GHz. 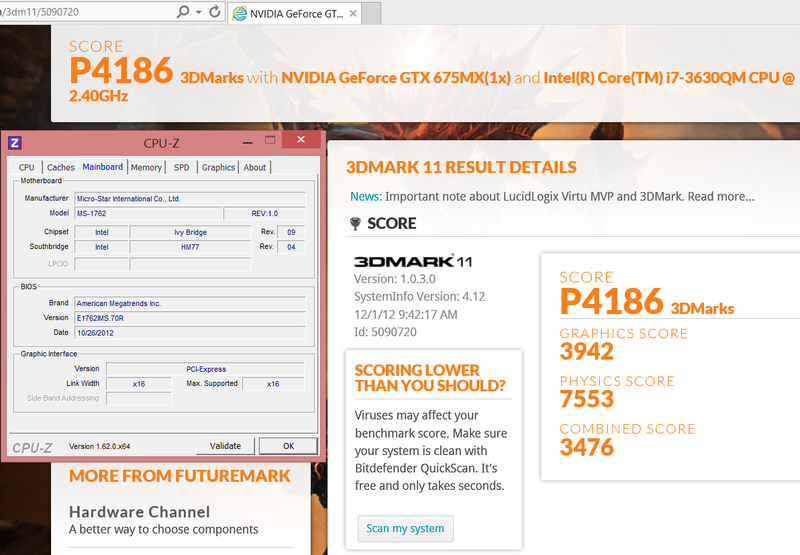 PC Mark 7 over 5400 scores, this is really high as a notebook platform. especially the Super RAID dual SSD RAID0 makes the storage up to 8.3 points. 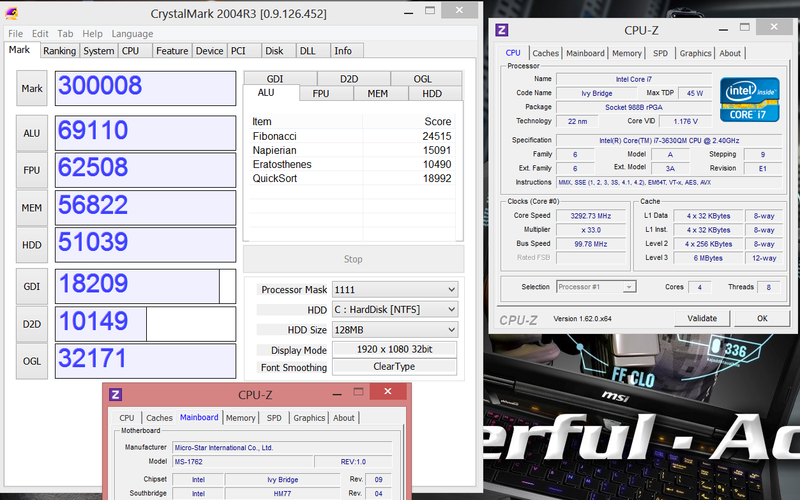 GT70 built in with 2 GPU, one is Intel HD4000 from Core i7-3630QM, the other is NVIDIA GeForce GTX675MX with 4 GB DDR5 vRAM. 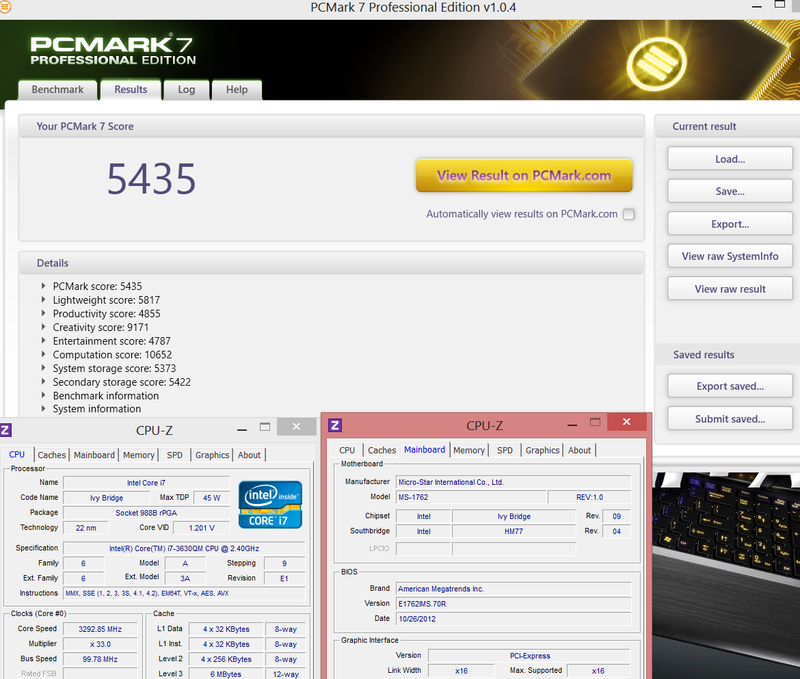 Previous GT70 comes with GTX675M, this time it upgraded to GTX675MX, the 3D performance is around 15%~20% higher than GT675M. GT70 Dragon Edition presents very smooth gaming experience with Full HD resolution and highest effects on most of the heavy loading games. 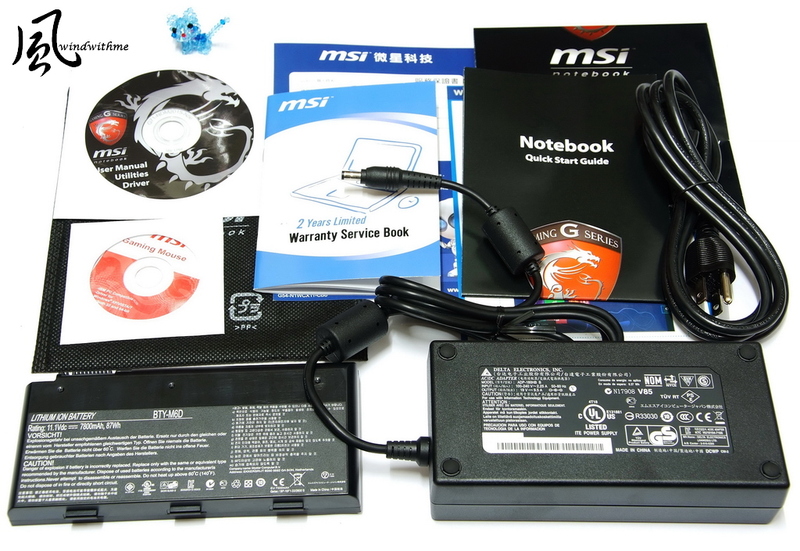 GT70 Dragon Edition built in with 2 mSATA interface with 2 128GBx2 SSD on RAID0 mode as C: drive for Windows 8 system used. The drive D: is a SATA2 interface with 750GB 7200rpm HDD for data storage. 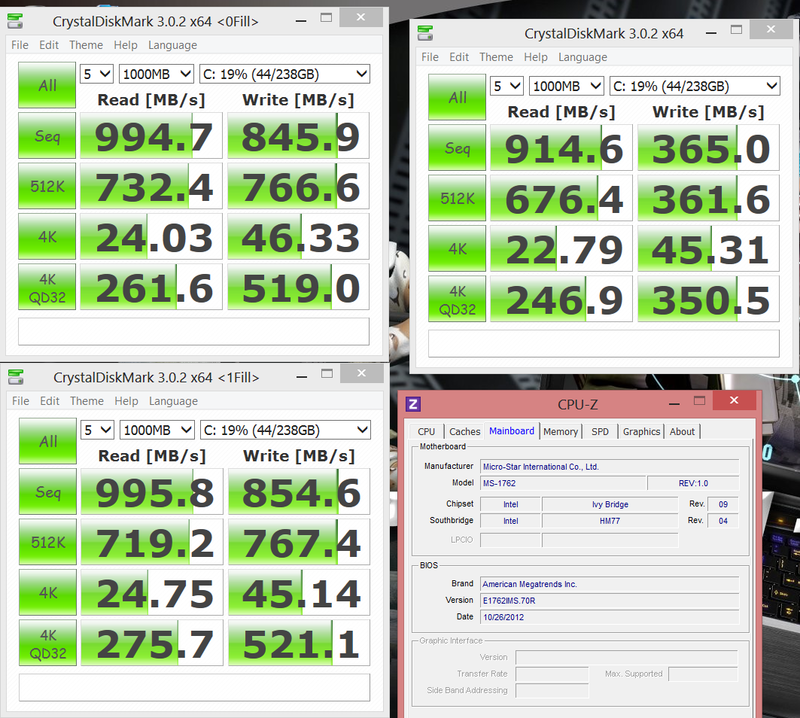 Below is the benchmarks of drive C: from Super RAID with 2 SSD RAID0. 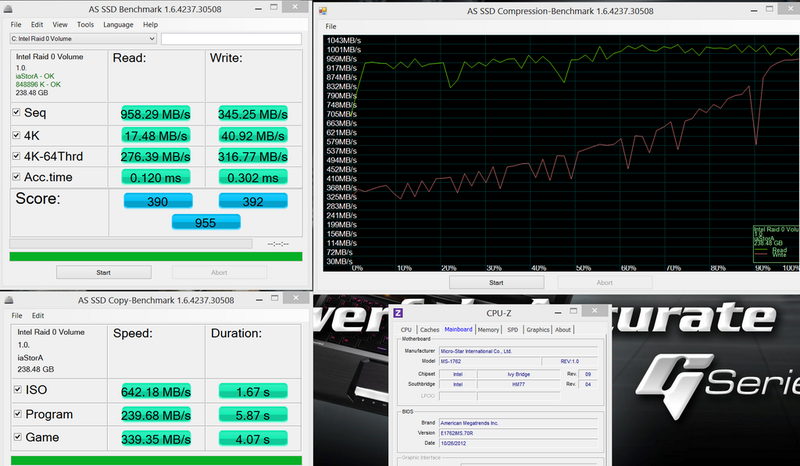 Compression Benchmark writing start from 300MB/s more, and over 900MB/s at last. Random Writing is the weakness, and it's really good performance on 4k access and other writing or reading benchmarks. Most 120GB SSD with SF-2281 chip used 120GB, and use the extra 8GB as the cache buffer. Recently the new version of 128GB SSD could use complete 128GB capacity, GT70 use the new version with 128GBx2 capacity. It's about 33~35 seconds from boot up to get in to OS desktop. Because MSI original OS comes with some add on programs, this will make the boot up time slower. Come pare to the Windows 7, Windows 8 will be 6~14 seconds longer time depends on different conditions. Maybe it's because the Windows 8 will get to the "Start" page and then get on the Desktop, that will takes more time. 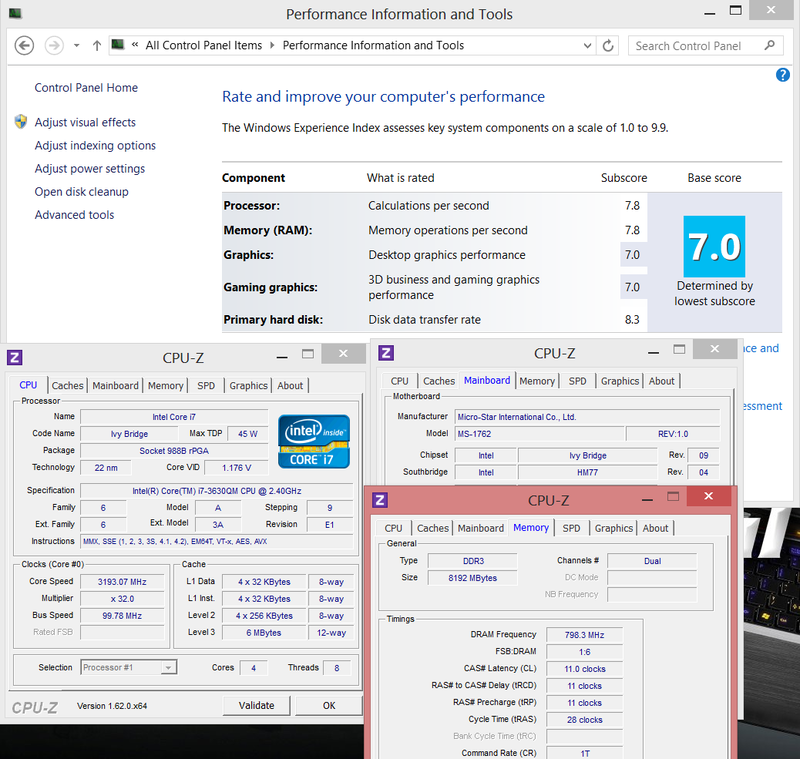 Dual SSD with RAID0 really make the notebook boot up much faster, also faster when installing, loading or saving programs. If we use HDD for boot up with Windows 8, will takes more than 1 minute to get to the OS desktop. If user install their pure clean Windows only with drivers, that could make the boot up time faster around 20 seconds. 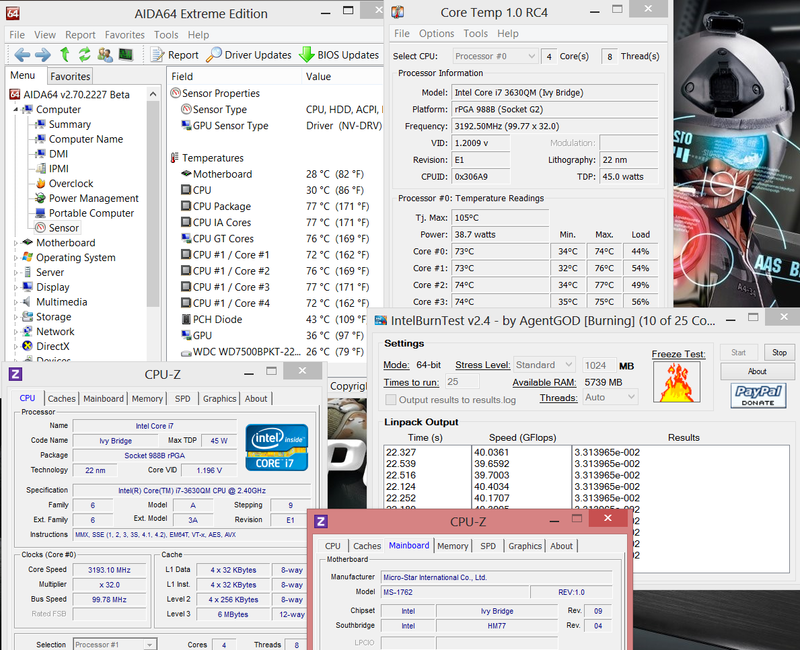 We use idle mode and full loading test to compare the Cooler Boost fan function to check difference. 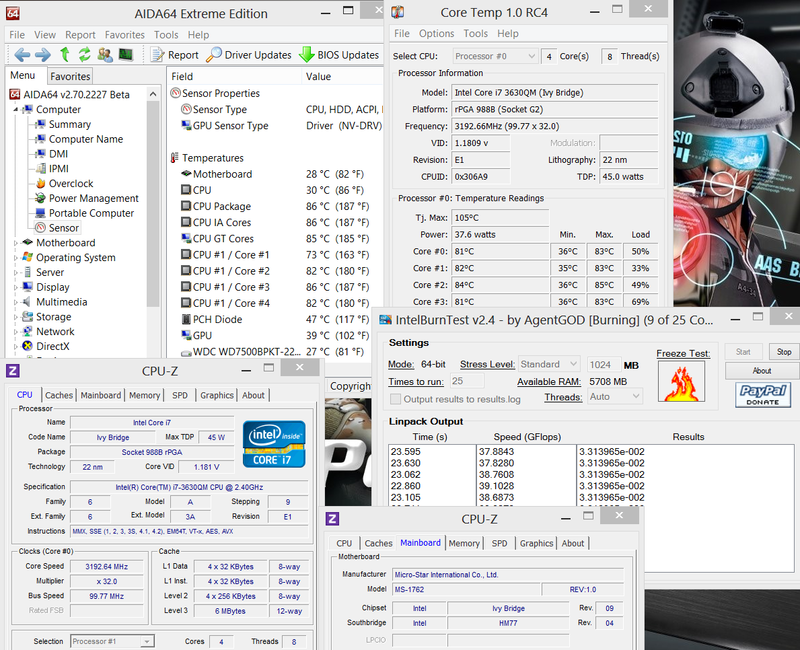 and biggest gap is 11 degree when CPU is full loading burning test, so the Cooler Boost really helps when users need it. Besides the fan performance, about the noise of the cooler, it's not easy to hear the fan noise if Cooler Boost is off, and Cooler Boost will make the noise louder for sure. But the noise is not high frequency that makes people uncomfortable, if you listen to the music or play games with Dynauido sound system, you will not hear the noise even you turn on the Cooler Boost. 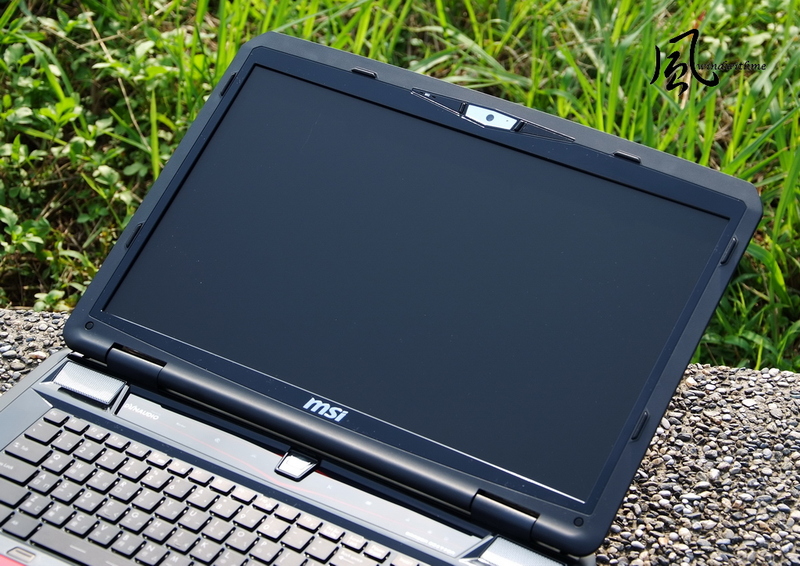 Many notebooks with Dual Core will be 40℃ more when idle mode, and full loading will be 80~90 degree. 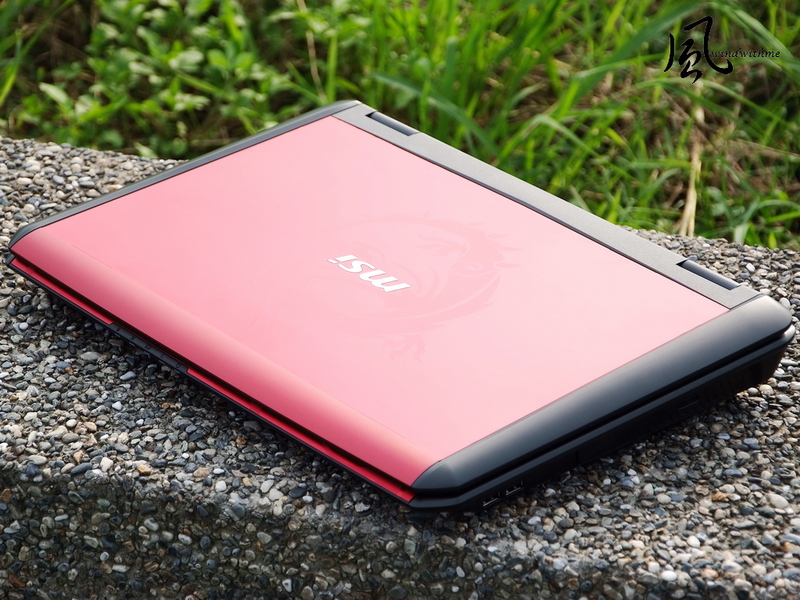 So the temperature of GT70 with Core i7 and GTX675MX is really well controlled, MSI did have good design skill on the thermal solution with small space inside the notebook. 1. 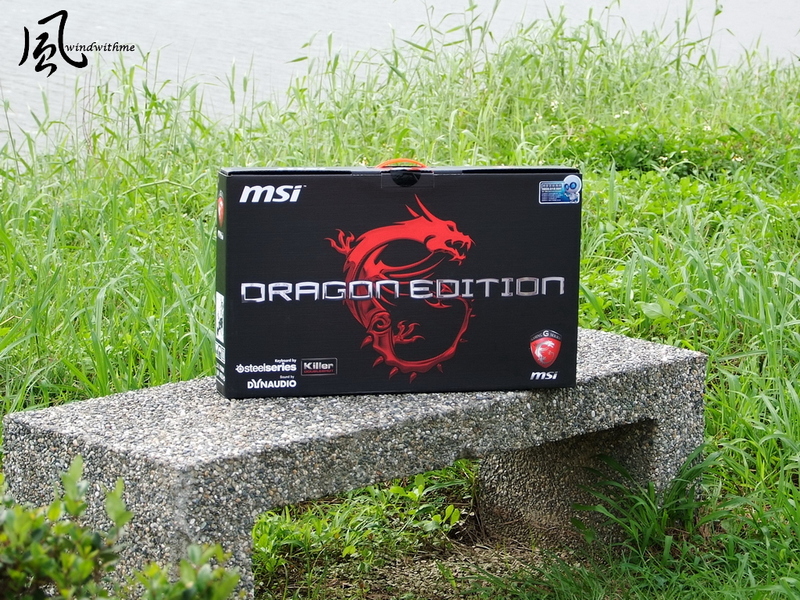 Dragon Edition makes the chasses with special coating with Dragon Tattoo, also improve the packing a lot. 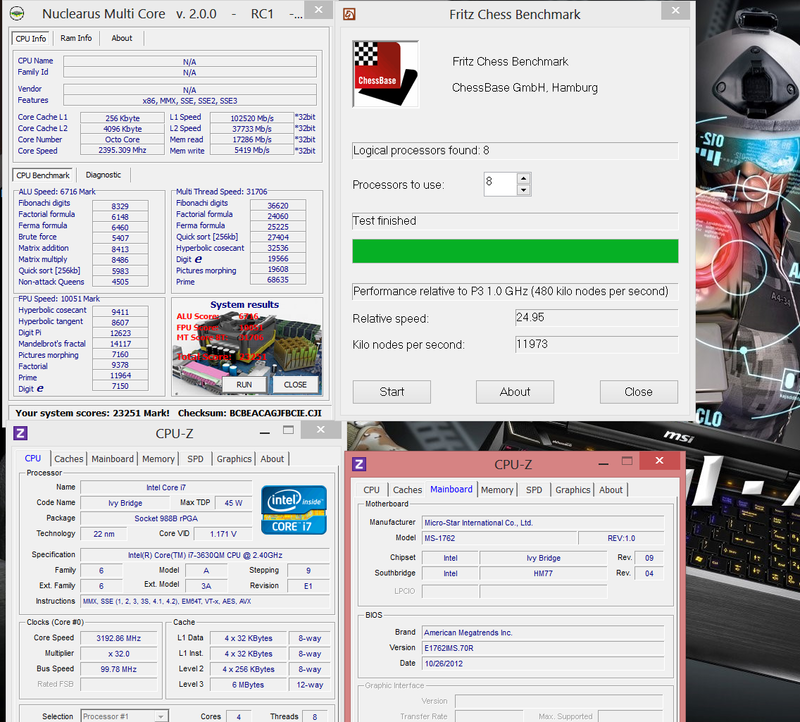 Upgraded hardware on GTX675MX and Killer Double Shot. 2. Dual mSATA3 SSD and 2.5 inch 750GB HDD makes great balance of performance and capacity. 4xDDR3 DIMM with good extend of the RAM size. 3. Rich on IO interface, 3 USB3.0 and 2 USB2.0, with HDMI, D-Sub and eSATA as well. 4. Full size keyboard by Steelseries with back light, add on Turbo, Cooler Boost to boost up GPU and fan performance. 5. Special 2 channel with 1 subwoofer design with Sound by Dynaudio system, the sound quality even better than previous version of GT70. 6. Built in 1920x1080 Full HD matted display, that will makes your eyes more comfortable when gaming or watching movies. 7. Latest Killer Double Shot function, the LAN is faster and WiFi comes with 2x2 and 2.4GHz/5GHz dual band design. 1. SSD will be better if use the Micron or Marvell control chip. 2. Maybe IPS panel is more expensive, but still expect the GT70 could option with IPS panel in the future. 3. 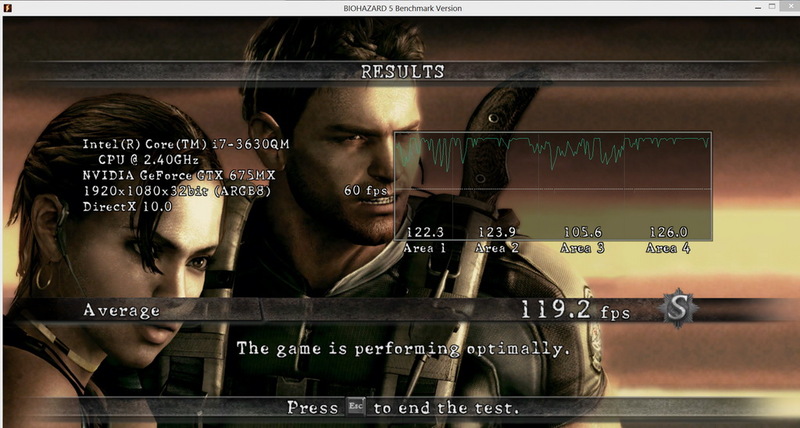 The NVIDIA graphics driver still need to improve on Windows 8 system, some 3D benchmark or games still can't get good performance on GTX675MX with full speed. 4. Recommend to use Creative Sound Core3D quad core sound chipset. 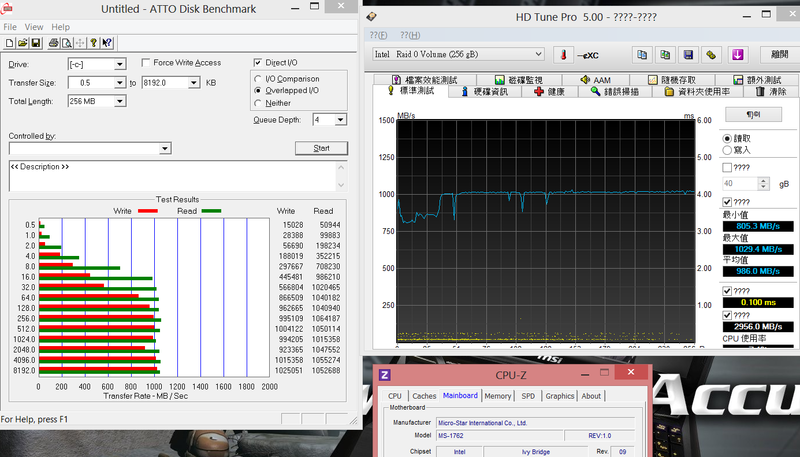 Recent years some friends start to use notebooks to replaced PC desktop, their performance demand is not so high. 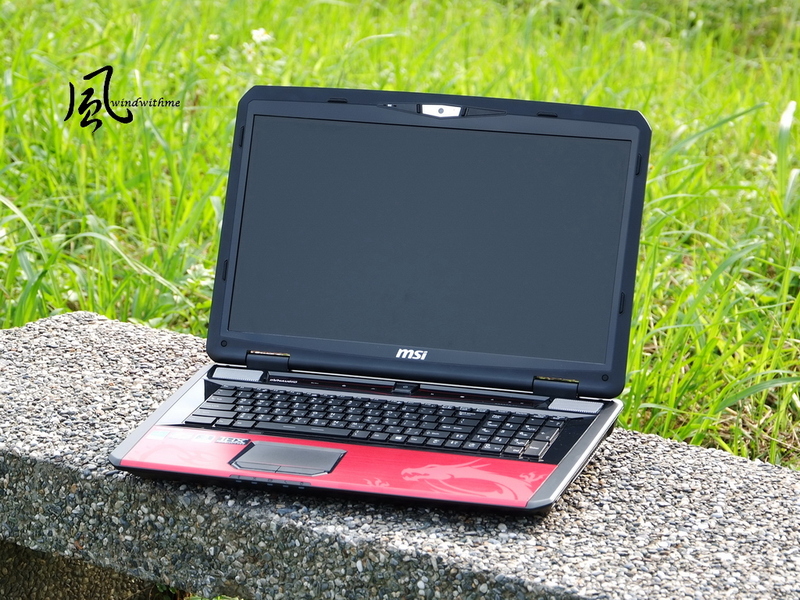 and they also need high performance to take out for business trip or better mobility, these demand makes the high performance notebook market raising up every year. 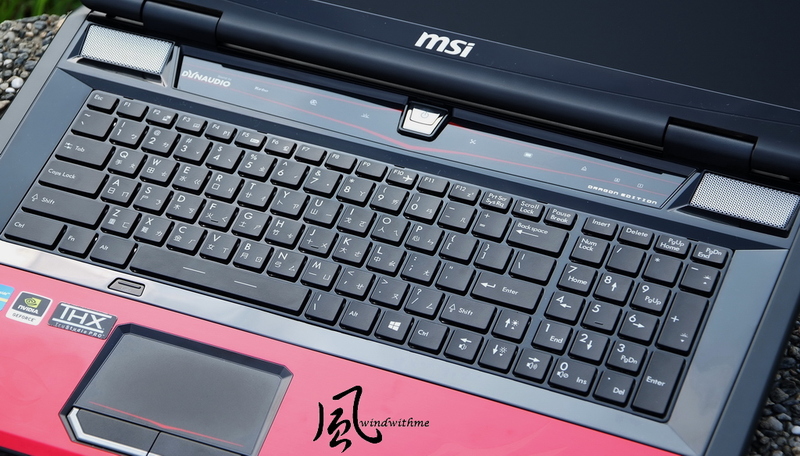 MSI got into the Gaming laptop market very early years ago, and keep enhance their products with better material and features for gamers every year. 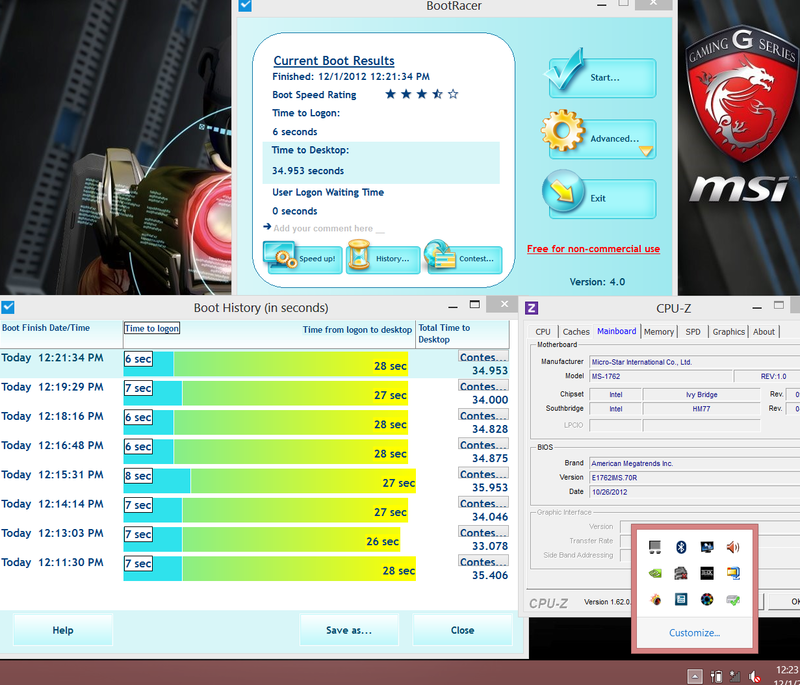 also the first time to make benchmarks with Windows 8. You could refer last article to make some detail comparison. the Dragon Edition did have some upgrade on GPU and some hardware, the Cost/Value is even better than regular version, but they are still at higher price segment. 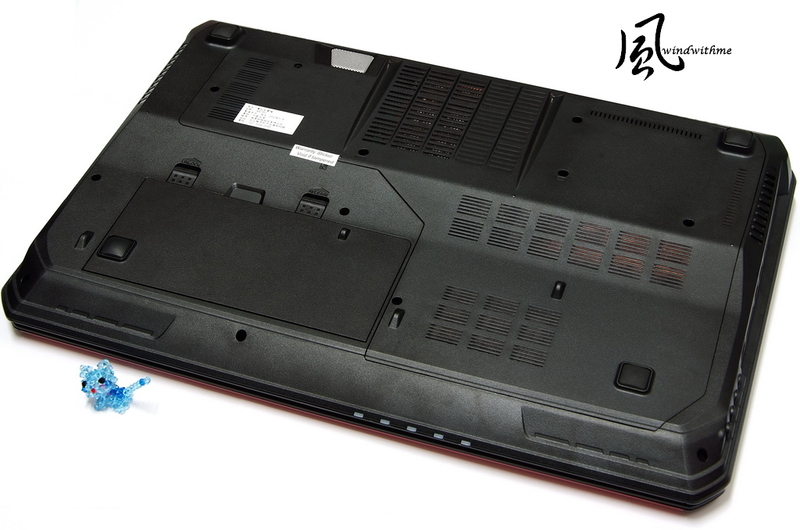 If you got limited budget but still want good performance laptop, you could consider GE60/GE70 at lower price range, GT70 if more suitable for top performance demand users. 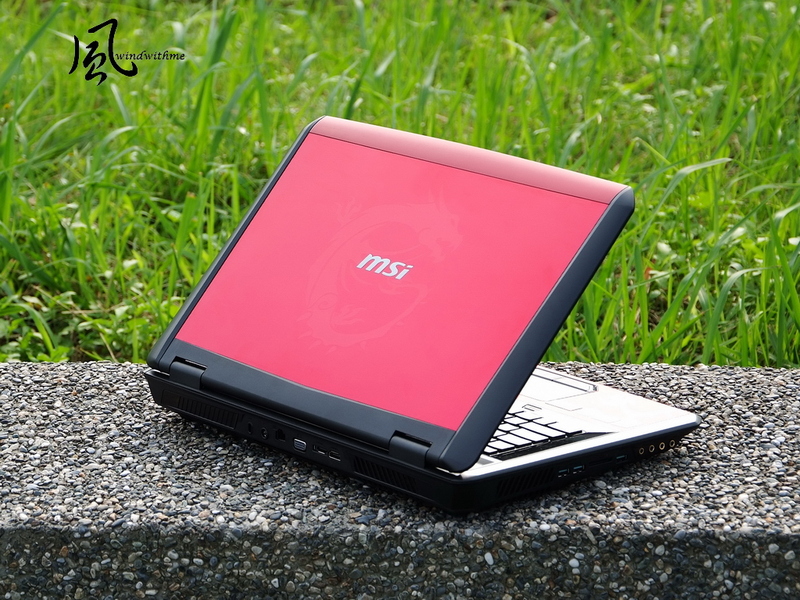 Hope MSI could come out better design with better price Gaming laptop in 2013.